Welcome to Stamp It Group Easter Theme Blog Hop. 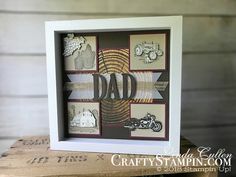 We are all using current Stampin’ Up! Products. 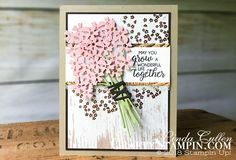 I’m Linda Cullen from Massachusetts, USA and you are visiting my blog Crafty Stampin’. At the bottom of my post, you will find a list of all the participating blog hoppers so you can move along from blog to blog and see all the fantastic projects. Make sure to leave a comment on each blog with the hashtag #stampitcontest to be entered to win the Notes of Kindness Card Kit! The word you’re looking for is “ADORABLE”!! The images in the Fable Friends stamp set are just the cutest!!! They remind me of the images from Beatrix Potter’s Peter Rabbit stories and are perfect for any Spring, Easter, or baby project. I colored the rabbit and squirrel with Stampin’ Blends and fussy cut them out with Paper Snips. I wanted the Rabbit image to be bumped up on Stampin’ Dimensionals so I needed to trim off his whiskers for that image to look good. To make sure the whiskers remain, I stamped the same image on the panel behind the rabbit so the whiskers show. The squirrel was also fussy cut which allowed me to position him anywhere on the card as I was designing the card. One of my favorite color combinations is Poppy Parade with any of the blues. Here the blue is Balmy Blue. I used the visual rule of thirds: “people are more engaged when items are grouped or used in 3’s”. There are 3 items of Poppy Parade, the background panel, the flower, and the rabbit’s shirt, and also 3 items of Balmy Blue the gingham background, the main panel border, and the squirrel’s hat and outfit. I masked off the greeting, “Easter greetings,” to rearrange the words and have them fit on the Old Olive panel. First I applied tape over the word “greeting”, inked it in Memento Tuxedo Black Ink, removed the tape and stamped “Easter”. I then repeated the process applying tape over “Easter” and inked the word ‘greeting’, removed the tape and stamped next to “Easter”. I hope you liked my project. Please make sure you leave a comment with the hashtag #stampitcontest to win the Notes of Kindness Card Kit, and visit each of the bloggers on this hop! Cute, cute, cute card! Thanks for sharing. This bunny always reminds me of Peter Rabbit. A favorite story I read to my kids and students . Cute! Love Beatrix Potter, so I love this card too! Great job! Always pick up a tip or two from you! That whisker tip is the bomb! Thanks! #stampitcontest Love Peter Rabbit and his friend. Ahhhhhh, so sweet. Adorable card. Lovely card. The more ideas I see with this set the more I like it. So adorable!! Can’t wait to get this set on Tuesday!! Great card Linda. The stamp set is good for young and old. Love the card and the color combo. Those critters are so cute. #stampitcontest Adorable card! Love your coloring with the blends. These are such adorable images! Great card. TFS! Clever tip for the whiskers! Love the card! Very cute card – love that stamp set! #stampitcontest. I love your card. I haven’t purchased that stamp set yet, but now I think I will buy it in April. Beautifully colored and I love this stamp set! I love all of your creations!